Ready or not, excited or reluctant, school is just around the corner. Here are five great books for this year’s journey back to the classroom. In this cheerful story, a young girl is determined to draw the perfect picture. But staying in the lines is hard to do! When she makes a mistake, she considers crumpling up the drawing and starting over — but instead she decides to use the scribble to create something new. Soon her imagination takes her on a daring adventure as she fills her picture with wild horses, daring pilots, delicious candy, and flying pirate ships. With energetic mixed-media collages that perfectly suit the story, this book will inspire readers to embrace their mistakes and unleash their creativity. In this poignant story, a girl finds it funny when her classmate starts blushing on the school playground. Her friends laugh along with her, but one student takes the teasing too far. Torn between her sympathy for her classmate and her fear of the bully, the girl must make a difficult choice. This heartfelt book will inspire readers to find the courage to take a stance against bullying and show compassion towards others. The bus driver, the principal, the teachers — all these and more wait behind doors, ready to welcome new students. Each school setting offers warm and friendly characters perfect for reassuring any child nervous about starting school. 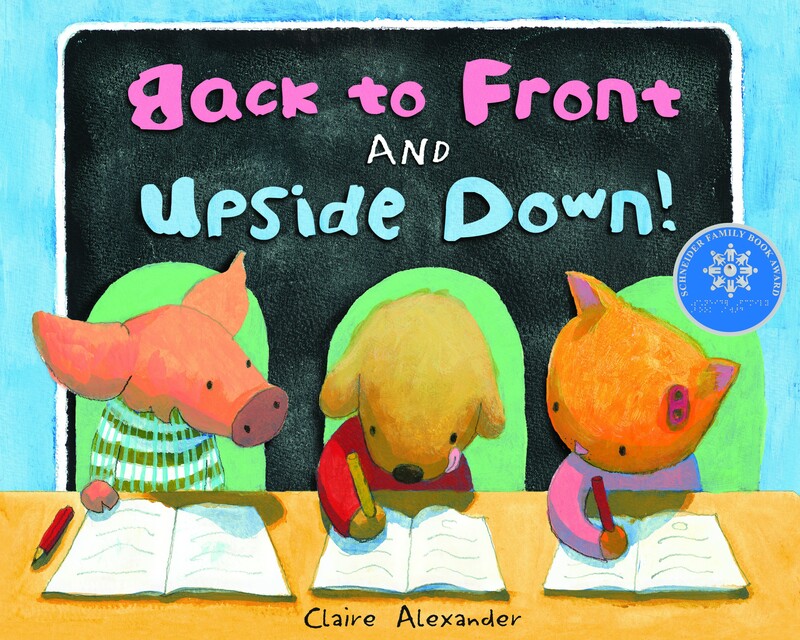 Children will be delighted by the colorful illustrations and the exuberant text of this book, and its unique format that allows readers to open flaps revealing the school settings waiting for them behind. 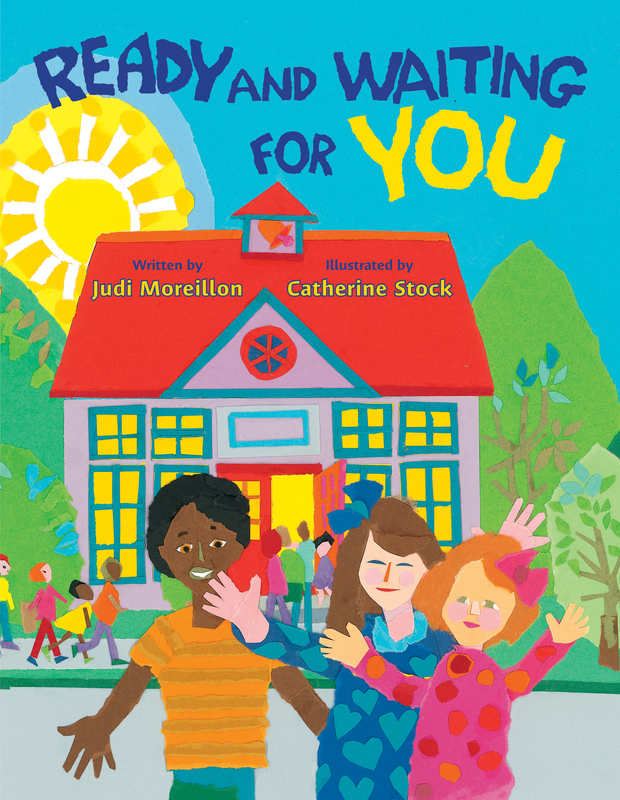 Ready and Waiting for You is the perfect introduction to the first day of school, and will leave young readers eager to be on their way! It’s the principal Mr. Slipper’s birthday, and while the rest of the class gets busy writing cards for the occasion, Stan becomes frustrated when his letters come out all in a muddle. Stan is afraid to ask for help, until a friend assures him that nobody’s good at everything. And after lots and lots of practice, Stan’s letters come out the right way round and the right way up. This unique, award-winning picture book delves into the mind of a young boy who is afraid of starting school. Summer is nearly over. The old aunts have come to visit, and autumn is in the air. Everything is ready for Garmann’s first day of school, but he is still nervous. And he can’t believe that he hasn’t lost a single tooth yet, despite his best efforts! Stian Hole has created a memorable and endearing character in Garmann, whose musings about fear and courage, life and death, beginnings and endings, help him understand that everyone is scared of something. Published in ten languages, Garmann’s Summer was the recipient of the 2007 Bologna Ragazzi Award, one of the most prestigious international prizes for excellence in children’s book publishing, awarded each year in conjunction with the Bologna Children’s Book Fair.